Our kitchen is overrun with plasterers at the moment (hooray - after this we just have to paint and it will be finished!) so I can't do any baking. 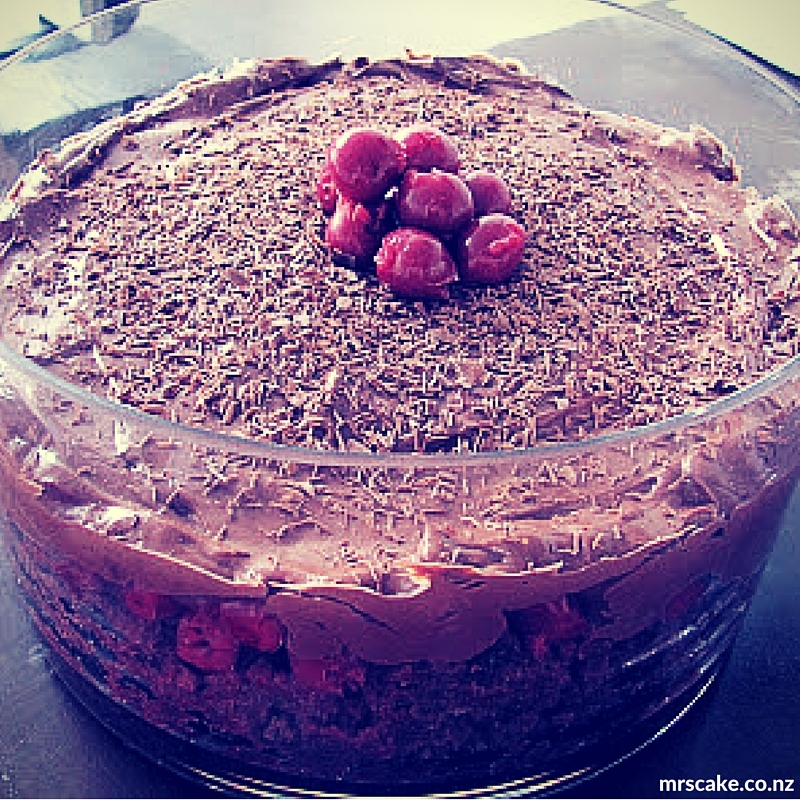 But Christmas is fast approaching, and for me a nice dessert is pretty key to the celebrations. One year I attempted croquembouche but perhaps that was a tad ambitious for Christmas morning so it was an abject failure. I've been meaning to have another go for years but it's the sort of thing that calls for some kind of big gathering (I think Mr Cake and I would have trouble scoffing a whole tower of profiteroles on our own!) and the right opportunity is yet to present itself. To avoid croquembouche drama we'll be going for something a bit lower key this year. I haven't quite pinned down what it will be yet so have been trawling through the archives in search of inspiration. Here are some of my favourite (low stress) options. Let's start with the traditional, shall we? These are less intensely fruity than some Christmas puddings, but still classic, dense and rich. I've made them quite a few times. If you go this route you definitely also need a nice custard on the table. 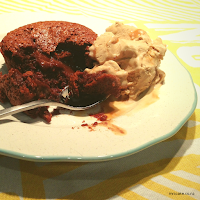 A less traditional hot pudding option. Christmas with my side of the family usually includes three pudding options; a heavy fruit, a light fruit and a chocolate one, to cater to all tastes. That might be overkill for your table but if you want a classy chocolate pudding option this is a nice one. Ice cream is a compulsory side for these. You can make the puddings ahead and leave them in the fridge overnight if you prefer to minimise the Christmas day workload. Another warm chocolate option, this is incredibly easy to put together and looks pretty lush. If you want to make it a bit more summery (and authentic) you could use cherries instead of plums. Apparently the classic cherry clafoutis has the stones left in the cherries, as they are supposed to impart a slight almondy flavour during baking - just putting it out there in case the thought of de-stoning a cup of cherries leaves you cold. 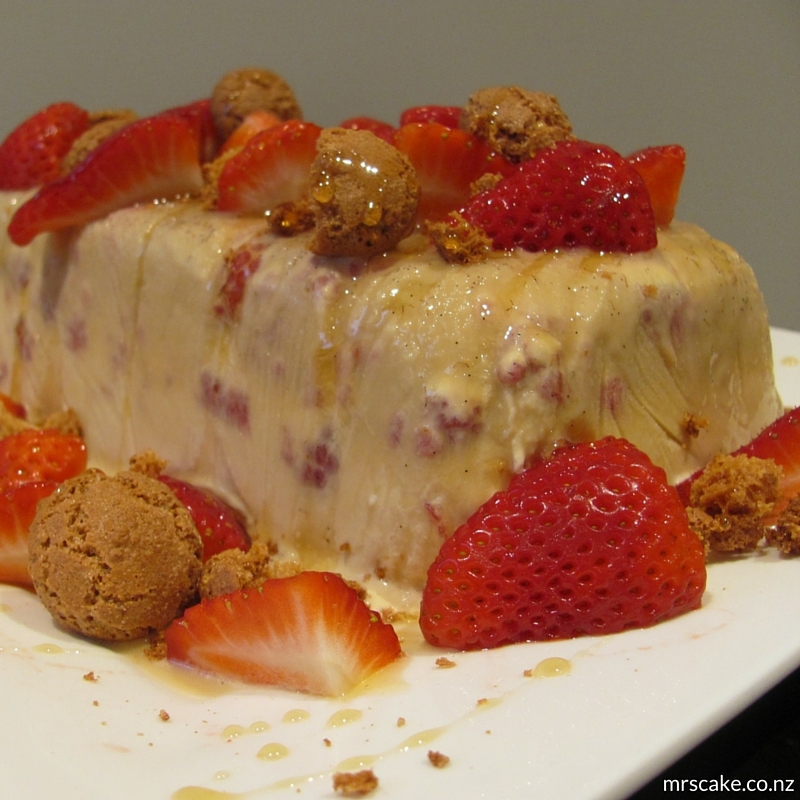 Pav is a Kiwi Christmas classic, and this brown sugar number is my favourite. It's caramelly and chewy and baking it in layers makes it look fancier and allows extra strawberries or lemon curd to be slathered in the middle as well as on top. If it's a fluffy white pav you're seeking this Donna Hay recipe is also pretty good. I have one tip when it comes to pavlova: make sure you let everyone in the house know it's cooling in the oven lest they turn it on and scorch your precious meringue, as I did to my sister's first ever attempt when we were teenagers. I have to throw in an ice cream recipe. This is my all-time favourite, and it makes a great spiced option to serve with your Christmas pud, or is great on its own or even piped into brandy snaps for an extra decadent twist. 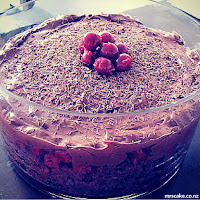 If it doesn't have chocolate in it to start with I will find a way to add it, and this rich trifle is a prime example. I'm personally not that into boozy trifles, but if you want to spice this one up a bit a drizzle of Kirsch over the sponge would do nicely. Trifle is an ideal option for an easy celebratory dessert, because you throw it together the day before and it's good to go. And it looks so pretty in a nice glass bowl too! Cheesecake is a great crowd-pleaser and this is a nice summery option, making good use of strawberries to balance the rich filling. It's a generous recipe, and will serve 12 for dessert, or can be made in a larger tin and cut into smaller pieces (click through to see the cunning crowd-feeding cutting technique) to serve around 30 as part of a shared dessert. This is essentially jazzed up ice cream, perfect for a blazing hot Christmas (I can be optimistic, right?). It looks gorgeous on a plate, and can be the main event or a nicely-dressed accompaniment. 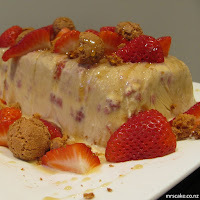 It's also supposed to be a bit melty (semifreddo translates as semi-frozen) so no drama if it sits out on the table for a little while to allow time for sneaky seconds. I'm thinking maybe cheesecake is the go, perhaps with a luxe homemade ice cream on the table as well. How about you - have you sorted out your Christmas dessert yet? Do you do the same thing every year or do you like to mix it up? These look amazing!!!! 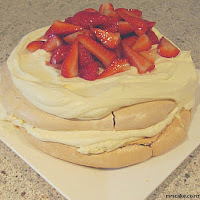 Pavlova is my favourite!!! Thanks! 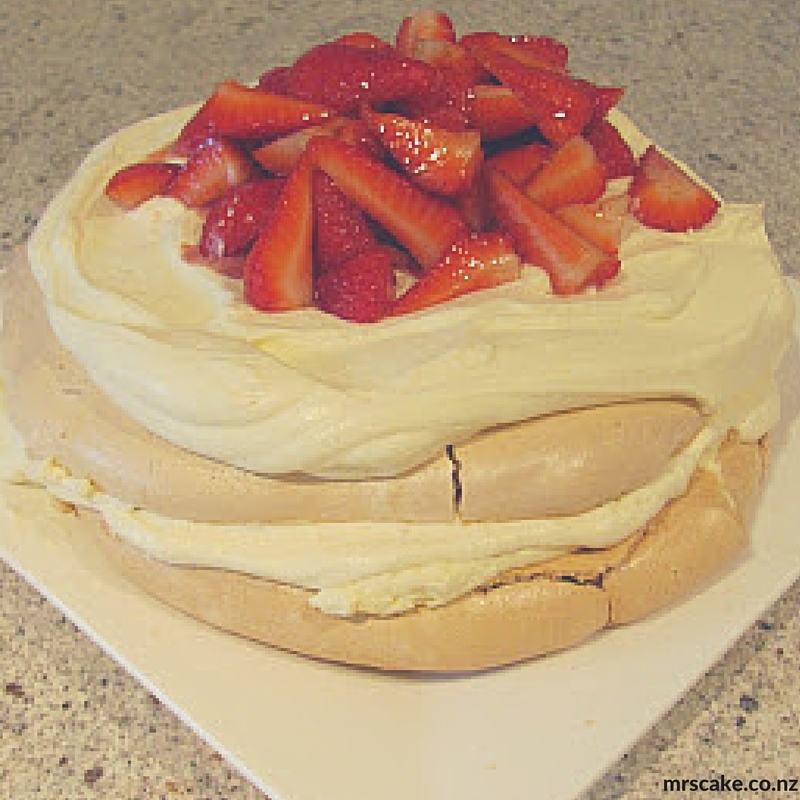 You can't beat a good pav, can you? Especially at this time of year when there's so many different fresh fruit topping options to choose from. So glad for some ideas! My family is having a dessert competition this year and I have no idea what to make!